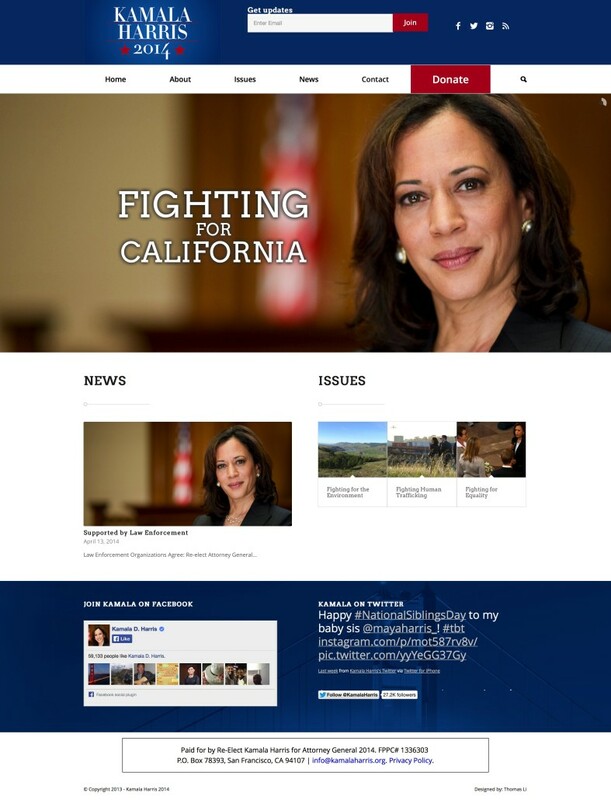 Kamala D. Harris was sworn in as the 32nd Attorney General of the State of California. 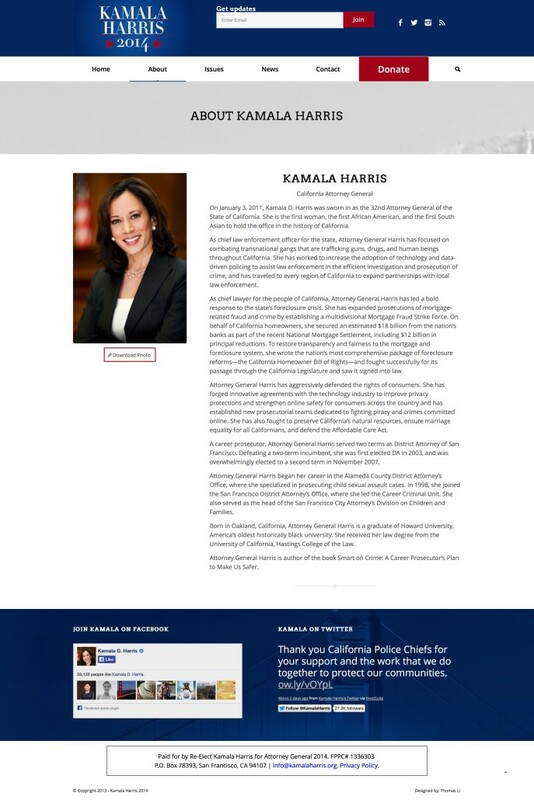 She is the first woman, the first African American, and the first South Asian to hold the office in the history of California. 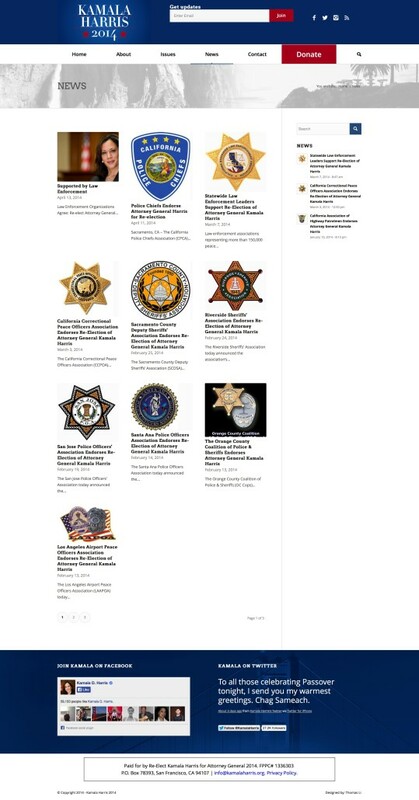 Now, she is running for re-election. 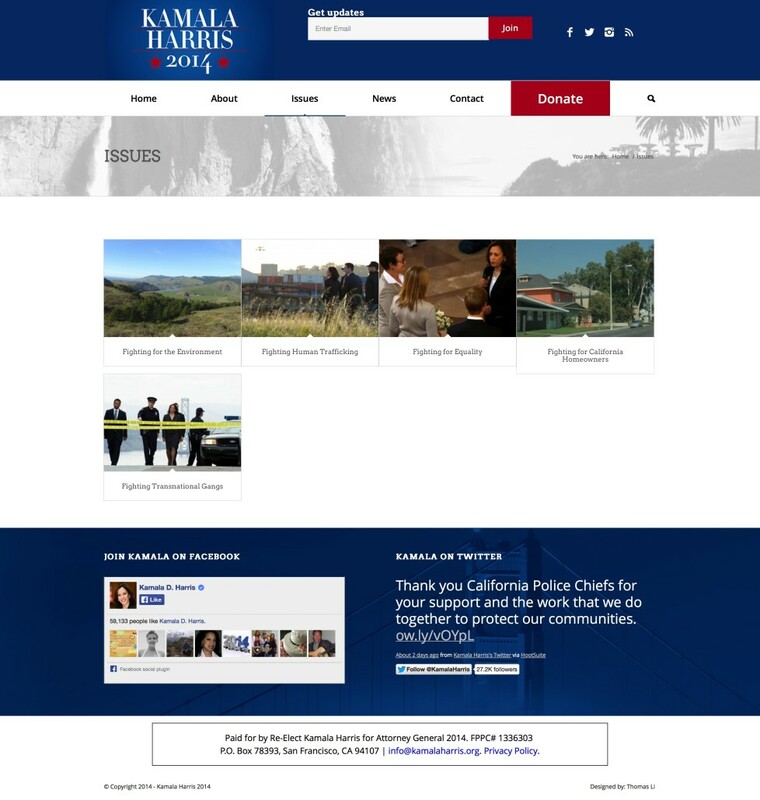 Attorney Harris’ campaign approached Thomas Li to design a responsive website to highlight some of the accomplishments in her first term.